One of the pleasures of this job is to occasionally meet someone on the phone who feels like Jesse Winchester does on the other end. He seems to be okay with who he is, and consequently you may feel very good about who you are at that moment, and that sets up a nice playing field for conversation. We were talking about his new CD on Appleseed, Love Filling Station. He sounded like Memphis. Yes he did, unmistakably so, even after all those years in Montreal, since 1972. Even though Carter declared Amnesty for draft dodgers five years later, he stayed another 25 years with no intention of returning, till his current wife brought him back, eventually to Charlottesville, VA. Writer of many great and much covered songs, Winchester is on the short list Dylan cut out as among the most significant of his generation. He can get that slow groove going like J.J. Cale or Tony Joe White, but he'll do it on the nylon string guitar. In his case, it's the song that holds it together, not the groove. In fact, lately I keep going back to the song "I Turn To My Guitar," whose self-effacing majesty is so inspiring. 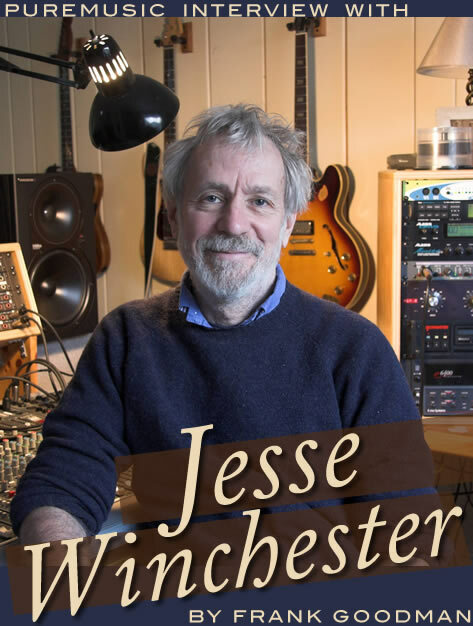 Co-producer Bill Vorndick, the songcatcher of the acoustic world in Nashville, did a stellar job of bringing in the first-call one-take guys who had the right vibe, like Jerry Douglas. Some of the nucleus were killers from Ricky Skaggs' band, Mark Fain on bass and Andy Leftwich on fiddle. But monster guitar players like Russ Barenberg, Guthrie Trapp, and Bruce Dees sizzled and occasionally exploded throughout. Bob Mater was so right on the drums and Claire Lynch really brought the Dolly home on "Loose Talk," one of the three covers. This is the artist's first solo release in nine years. We got to get more records out of this guy. So let's all buy this one, and he's sure to cut another. In his time.